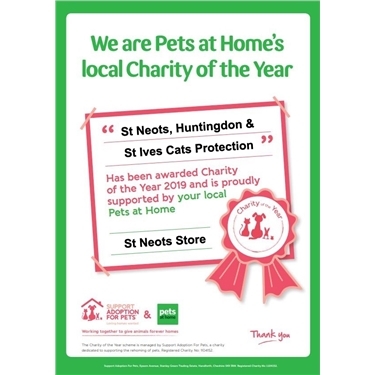 We're over to the moon to have been chosed by Pets at Home in St Neots as their chairty of the year. They will be fundraising for our branch and we will be in store each month to help with this. A full diary of dates will be available soon.